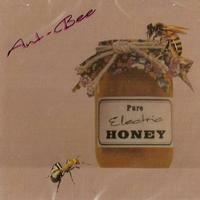 This is a release of very early Ant-Bee recordings. This is very much psychedelic progressive rock. Early Pink Floyd is a valid reference point. The thing is, although it gets pretty weird at times, I like a lot of this a lot. In fact, I might like this even better than the most recent album from Ant-Bee. It’s cool stuff. This is just sound effects like someone walking up a set of stairs. This starts with just ambient weirdness with processed vocals. It segues into the next piece. The strange vocal layers from the previous cut start things here. Then we get a slow moving and lush sort of echoey psychedelic song. I like this a lot. It’s very dreamy. I say that almost in a literal sense. There is a cloudy, hazy sort of vibe that lends itself to dreamlike states. Add in some weird little voices and sounds in the background and it creates sort of a state of consciousness sort of thing. Those voices, like bees talking, take the piece at the end. Weird sounds bring this in, including some processed vocals along with things that feel backwards tracked. Again, a dreamy, trippy sort of vibe permeates here. Then it powers out into a harder rocking jam that merges prog and psychedelia. Then it drops to strange atmospheric sounds from there. There’s almost a symphonic element. A rock jam with a lot of the psychedelic edge brings it upward from there. The cut continues by revisiting the sections we’ve heard to this point with some variations. Here we get more of those “bee voices” as this starts. Then some percussion takes it and weird atmospheric space emerges. This never really rises to the level one would call music. Instead, it works through in a weird atmospheric space way. More waves of dreamy psychedelic music (with lots of it seeming backwards tracked) makes up this number. This mellow bit of psychedelia somehow reminds me a bit of early Pink Floyd mixed with some early David Bowie. There are backwards tracked bits of music at the end of this. Layers of a processed voice (or perhaps many voices) literally holding an “ahhh” is heard as this starts. That is really the only thing here and this is less than a minute long. Atmospheric elements and sound effects create this tapestry. It’s another that calls to mind early Pink Floyd. Bits of world music are heard as this continues. Then tribal percussion rises up to drive it further. That is essentially the piece that takes this out. 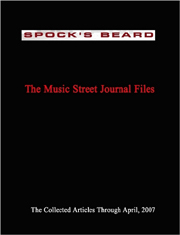 This is a four part suite since each track is tracked individually, each one will get an independent review here. Weird effects start this. 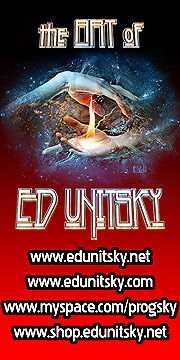 It explodes out into a fast paced melodic psychedelic jam that again calls to mind early Pink Floyd. As it gets more hard rocking later it almost takes on a Hawkwind vibe at times. Sound effects take over and then it eventually shifts to an almost jazz meets psychedelic movement. Some of the vocal layers on this actually make me think of The Beach Boys a bit. The sound powers out to more energetic, harder rocking psychedelic music from there. This drops to nothingness as the piece ends. This is one heck of a ride. Of course, it’s quite epic in length, giving plenty of room to develop through all sorts of changes. There’s an abrupt stop that gives way to nature sounds. The nature sound from the previous part starts this off. More mellow psychedelia enters and then eventually gives way to more sound effects. That “bee voice” says “Ant-Bee” in an echoey delirium. Strange sounds shift and change as this continues. Waves of psychedelia are heard as this opens in almost ghostly fashion. Eventually some of the vocals from before emerge over a piano backdrop. It’s still laced with trippy sound. More bee talking is heard later in the piece. Mostly atmospheric, this never rises beyond the realm of psychedelic weirdness. It has backwards tracked stuff, weird voices and sound effects. Here we get more of the sort of effects driven weirdness that made up the last track. Mind you, it doesn’t sound like that, but lives in the same territory. There’s sort of a hidden track. After the last tune there’s some hiss that signifies the start of this. There are little bits of music that barely peek out at times. Otherwise, this is mostly just that hiss.